…reading The Five Love Languages: How to Express Heartfelt Commitment to Your Mate by Gary D. Chapman, this has been an amazing read so far. It really gives insight on how to be a better partner to your significant other and determine how to best meet their emotional needs. …watching New Girl starting tomorrow. I’m so pumped! Other than that I don’t have cable so I don’t watch much other than movies. …trying to learn Spanish by November 13th. At least the basics. Duolingo and my new book are coming in handy. Any other suggestions? …pinning photography help. I have agreed to photograph a friend’s wedding in October and I am very out of practice. How do you turn this thing on again? …tweeting about how to afford travel! Check out my twitter @hazardouskys. …loving being more focused on goals and planning out my days. I have noticed a major increase in productivity since I have started writing out my goals and ideas. …discovering the amazing things you can accomplish when you overcome your fears of failure and just going for it! …enjoying being out on my own again and having my own place. It really has improved my self esteem to have my own responsibilities to take care of again. ; despite the bills that come with it. ...thinking about how my new business ventures are going to turn out with opening an e-commerce and what all I need to do to get me to the next step. …feeling very exhausted after a weekend filled with loud noises (anyone else’s boyfriend buy Destiny this weekend?) Apparently it’s very addicting. …hoping for great things to turn out with everything I’m planning in the future. I can hope for the best as long as I’m willing to work for it, right? …listening to Vance Joy, Riptide. I am so in love with this song right now. It’s so calming to me. What are you currently getting into? Hello blogosphere! It’s been far too long. My life has been crazy the last few months, or 5. I’ve lost a very beloved family member, rekindled an old romance, moved yet again and started some other great ventures. Now that you’re all caught up, I’ve decided to regain my passion for blogging and get my literary brain ticking again by doing the #blogtember challenge outlined here. I am about a week and a half late but I just figured I would catch up and only do the topics that interest me. It may seem lazy to some but I like to call it selective. I see no point in writing about topics I’m not interested in, wouldn’t you skip those too? Starting with Sept. 2nd. What makes you happy? What else can a girl ask for? What are some of the things that make your day? This entry was posted in Uncategorized and tagged good day, happiness, happy, travel. Over the past few weeks I have made the mistake of using my credit card *shrill*. I have been planning some upcoming trips and using my card to go ahead and purchase everything I’ll need in advance but with it has come that terrifying bill in the mail. I did plan ahead and already have worked out how I will quickly pay it off but it made me sit down to consider what I would do if I did have major debt looming overhead. Here are a few tips to help anyone pay off debt. There are plenty of sites out there that will talk about credit card churning for the points and for the benefit of improving your credit. I agree with them for the purpose they serve but there is also a danger to doing so. If you are not someone who immediately goes home and pays off your credit card you are likely to end up paying interest on those charges. Once you have a decent amount charged up on your card and it starts taking the interest hits your debt can go spiraling out of control. Take charge of your charges and get them paid off as quickly as possible. My suggestion if you have multiple is to pay off the card(s) with the highest interest rate while paying the minimum and then roll all of the extra money you were paying off the initial one to the next one until you have them all paid off. This is a Dave Ramsey method and has worked for tons of people. Do you have car insurance? A phone bill? Cable? These are all bills that you could potentially have lowered in order to put towards debts that you cannot. If your contracts are running out soon, call around or skim the internet for better prices. If you are adamant about staying with your current provider call them and ask to speak with a manager and tell them you’re a loyal customer and would like to see if they have a better rate they can offer you. The savings from doing so for any of these contracts can be used to pay down your other debts. There are a multitude of ways to bring in additional income. You can go get a second job at a store or food establishment you like. Doing so would not only benefit you in bringing in additional income but also save you money on purchases you would have already made thanks to employee benefits. Any additional money you earn could be automatically deposited into your savings or you can make an agreement to yourself to pay at least a portion of your additional earnings towards getting rid of debt. Do you really need that latte? If you’re spending $5 a day on a fancy latte that means you’re dishing out an extra $1825 a year. $5 a day might not seem like much but little purchases truly add up. If you were to make the same beverage at home for around $1 or less you would save $1460 to put towards your debt per year! If you have been with a company long enough and in good standing you should have no issue with getting them to lower your interest rate. I say so because I have done so recently. All you have to do is call and ask. The worst they can say is no and you can call back in a few weeks or months and try again. If you only have a small amount built up in your savings I would suggest by-passing this option. However, if you are like me and have a surplus beyond what you would need in the case of an emergency then borrow some of that money and pay off your debts. You are going to earn far less interest in your savings than you will be paying on your debt so pay off your debt first and you will be able to quickly replenish any money you have borrowed from your savings. This entry was posted in Finances, Uncategorized. Today’s tattoo is another one of my own. It is a pirate skull with Floridian flowers and butterflies. Florida is my home away from home. I have spent entire summers there and vacationed there my entire life. A good portion of my family is from there and we have friends that we have made over the years as well. Most of my tattoos unless otherwise stated were all done at Black Cat Tattoo in Panama City Beach, Fl. The following tattoo wasn’t done by my usual artist Darren, but by a gentleman that was filling a guest spot for the time being. This entry was posted in Beauty and tagged butterfly, diamonds, flowers, jewels, pirate, skull, tattoo. 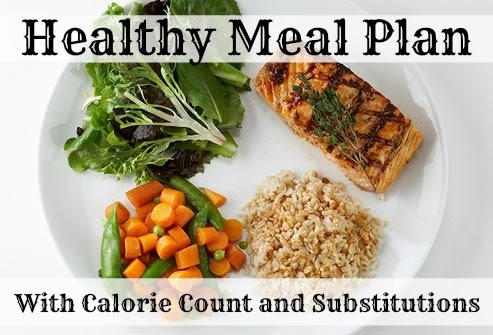 The following 2000 Calorie meal plan was designed for myself in particular by a nutritionist but it can be applied to anyone with the same caloric needs. To give an example I am 5’8″, weigh 118 lbs and am a 26 year old female who performs moderate workouts for an hour 3-4 times a week. The goal of this meal plan was designed to maintain weight and build muscle. I attempted to decrease the amount of fiber in this diet to closer to the 25 grams per day as recommended for woman but trying to achieve this while maintaining nutritional integrity was a real chore. I did follow up research and learned that there are several individuals (even credentialed health professionals) that follow diets upwards in the 40 to 60 gram range without adverse effects. This seemed to be the norm especially amongst people follow a vegetarian or vegan diet. To prevent any discomfort, it is VERY important that you drink the amount of water daily as stated above. If the amount of fiber is giving you digestive issue, you can decrease it by peeling off the skins of fruits, subtract beans from the diet, get a juicer and juice your veggies, or change to white bread or refined grains (do this last). To maintain nutritional content of your vegetables, steam or use the microwave instead of boiling, pressure cooking, or frying. Vegetables where the nutritional content actually improves with cooking include tomatoes, carrots, asparagus, mushrooms, spinach, peppers, and cabbage. Also, you may have noticed that PRO is well above the 80.5 grams daily that we discussed but it still falls shy of the 30% marker for overall Calories from protein and therefore no big deal (you will just use the excess as an energy source and it won’t strain your kidneys as long as you have a healthy pair). I hope you find the above template customizable enough based on the substitutions list. To prevent burnout on your new diet plan, I recommend that you allow yourself 2 to 3 cheat meals per week (meaning that you treat yourself to something not on the nutrition plan). Now go and put it to good use! This entry was posted in Food, Meal Plans, Uncategorized.